Thermal Shakers are designed for applications that require consistent and precise high-speed shaking with temp. control to 100°C. With heating & shaking capabilities, our shakers use interchangeable blocks to accommodate tubes & microplates. Intuitive LCD touchscreen allows the user to save & track progress of 5 user-defined programs, each with 5 individual steps. Enhanced electronics provide dependable temp. settings across the operating range. 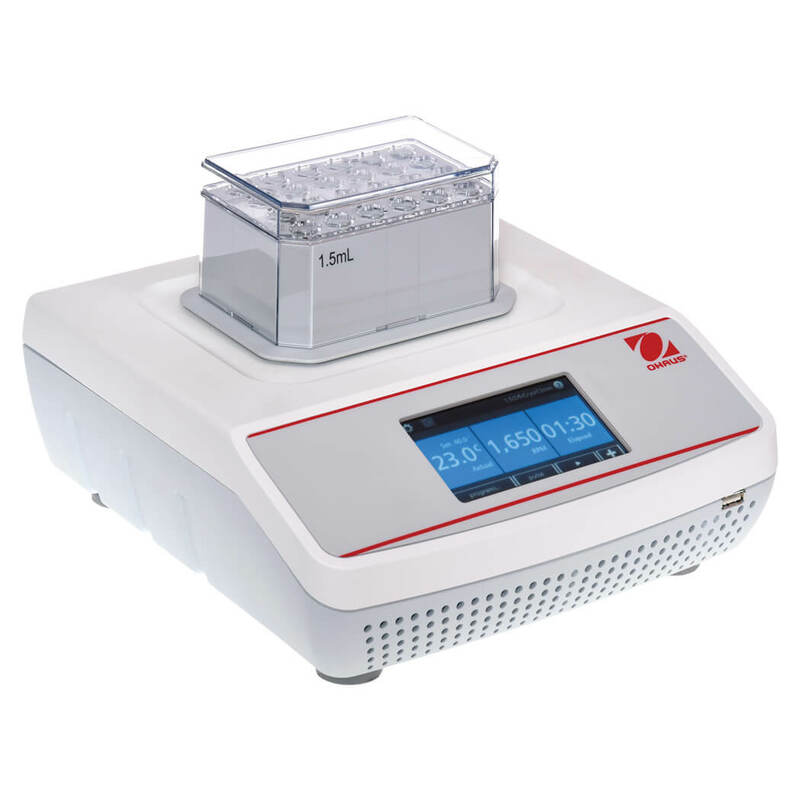 OHAUS Incubating Light Duty Shakers are designed to incubate samples from 10° below ambient to 65°C depending on the model. 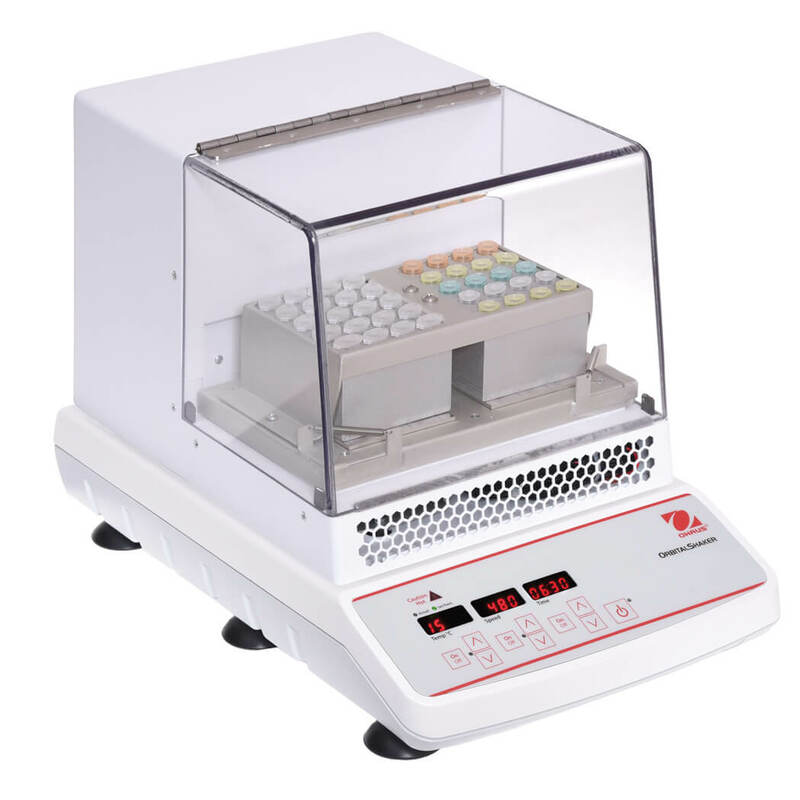 The Incubating Mini Shaker has an 8 lb (3.6 kg) capacity while the Incubating Microplate Shaker can hold up to four standard or deep well plates. 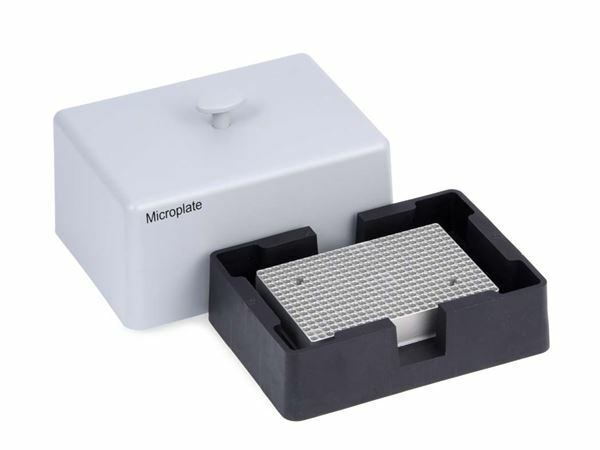 Incubating-Cooling Mini Shaker is designed to hold two microplates or two optional modular tube blocks. All models feature LED displays with touchpad controls. 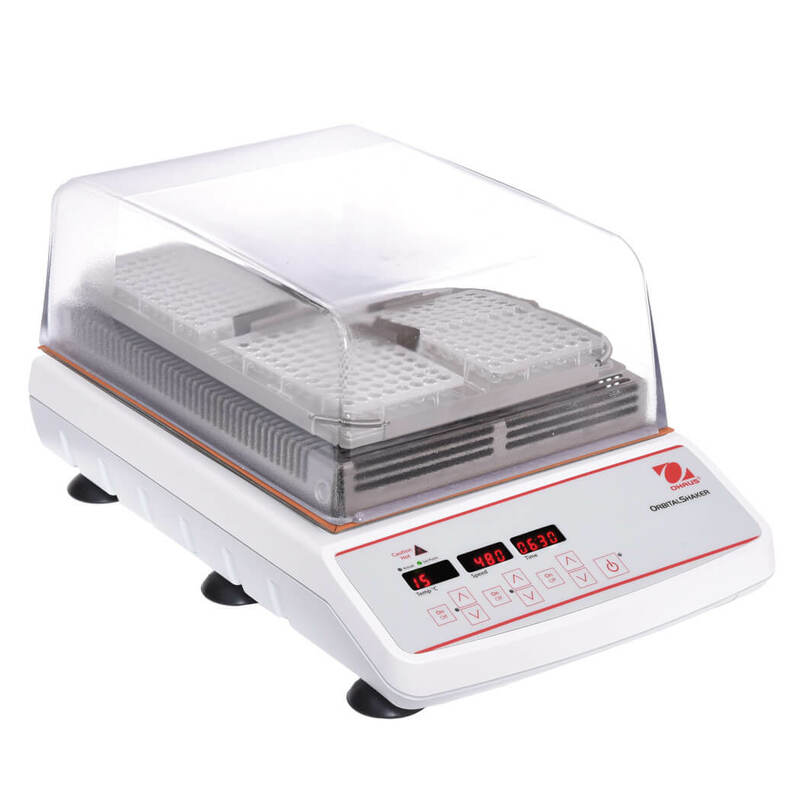 OHAUS Incubating Rocking and Waving Shakers are designed to incubate samples from 5° above ambient to 65°C to provide accurate and repeatable results. Rocking shakers provide a see-saw like motion, while waving shakers offer a smooth, low-foaming three-dimensional “wave” motion. All models feature LED displays with touchpad controls. 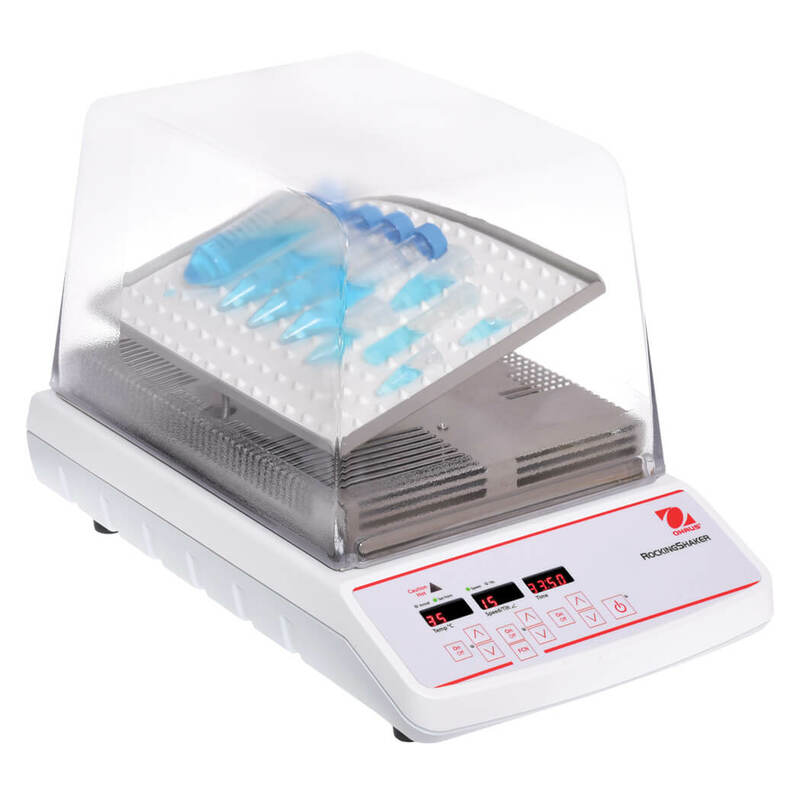 Both models include safety features that protect both the user and samples.